Two kinds of ice are featured in this collection. The first is needle ice. 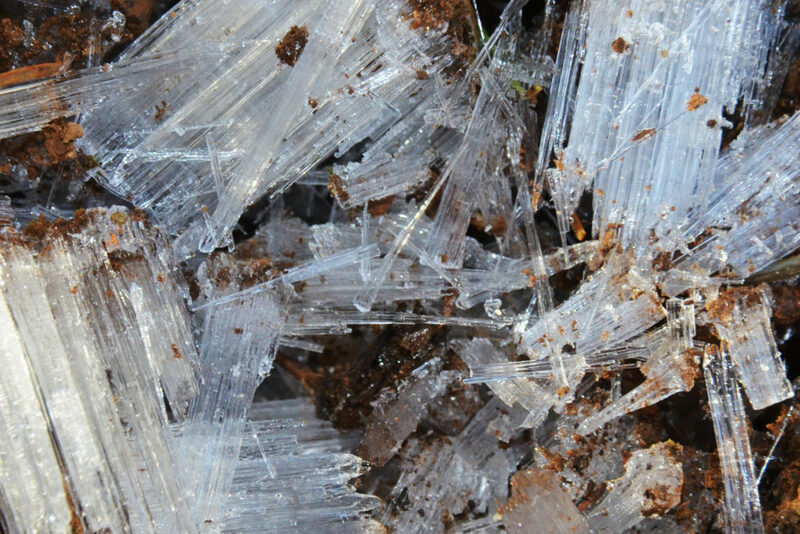 When saturated soil is warmer than the freezing air, then needle ice can form. 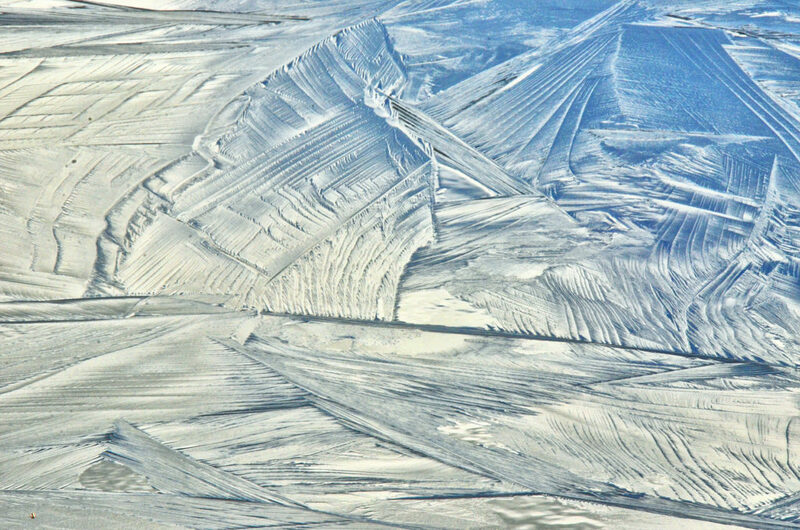 The other set of images is of ice on Cascade Lake. I have altered these images to accentuate the patterns. I did this by increasing the brightness, the contrast, and the structure. This makes the patterns much easier to see. Click either image to see the complete set.